The Handful Diet: Control Your Portions Without Counting Calories! Stop using endless spreadsheets and obsessive calculations to count calories. It's time to get more hands-on! Obsessing over food seems to be all anyone ever does anymore. It's far too common to see fitness devotees fret over calorie counts and precise measurements. Well, I'm here to tell you that you don't need to use super computers and Excel sheets to track your food anymore. You'll be happier, healthier, and fitter as a result. Enter the "handful diet." No more scales, measuring cups, or careful analysis of portion sizes necessary. The only measurement tool you need to rely on is your own hand. The handful diet is so named because just a handful of carbs, protein, and fats will be your primary and sole guideline come mealtime. Inspired by Precision Nutrition's approach to calorie control, I have used this approach with many clients, who had varying goals, with much success. In fact, I do this myself. This isn't some newfangled "drop 10 pounds fast" scheme, and it certainly isn't the only way to achieve your goals. The main selling point of the handful diet is that you'll feel liberated from the constraints of measuring and calculating your food to the decimal. The only measurement tools you'll need are actually attached to your body, making this an incredibly easy and relatively fool-proof way to eat healthy for life. 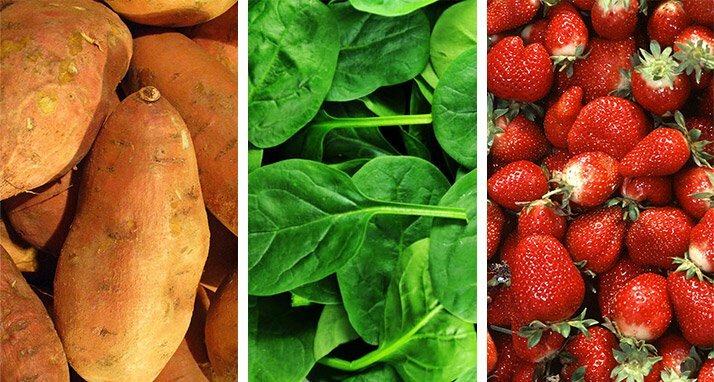 What Is The Handful Diet? At each meal, aim to eat a handful of a specific macronutrient based on your individual macronutrient breakdown. It's simple really. At each meal, aim to eat a handful of a specific macronutrient based on your individual macronutrient breakdown, which changes slightly depending on your gender, goals, training intensity and frequency, and body size. I recommend eating every 2-4 hours throughout the day in order to shuttle enough calories and food into your working body. A little-known counterintuitive fact is that not eating enough calories can actually be a detriment to weight loss goals. One 4-oz. chicken breast holds about 28 g of protein and is about the size of your hand. Therefore, one chicken breast approximately equates to one handful of protein. As a general guideline, you should include at least one, and up to two, handfuls of a lean protein source at each meal. The average-sized, active male should aim to eat two handfuls of protein to fuel hard training and build mass, whereas the average-sized female should eat one handful of lean protein. If you weigh this on a scale, this ends up being somewhere between 20-50 grams of protein—perfect! "One 4-oz. 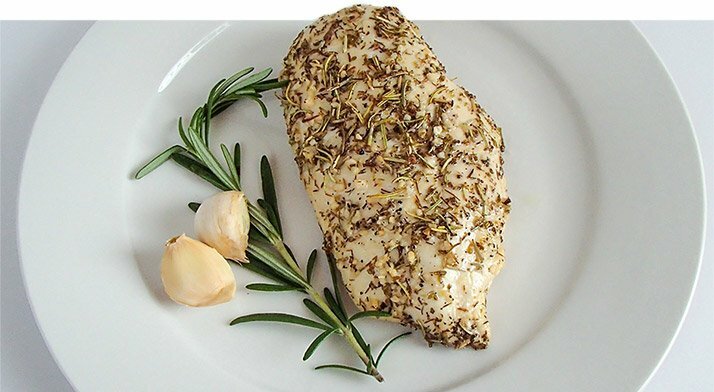 chicken breast holds 28 g of protein and is about the size of your hand." With everyone in the media demonizing carbohydrates, it's no wonder the stress of deciding how much carbohydrate—fruits and starches, in particular—to consume begets dysfunctional eating. Carbohydrates come in two forms, which break down differently in the body. Simple, fast-digesting carbs include things like processed sugary goods and fruit. Complex, slow-digesting carbs are things like starchy potatoes and oatmeal. The bottom line is that all carbohydrates constitute a form of sugar-based energy and cellular fuel. The amount of carbs is perhaps the most individualized aspect of nutrition, because some people respond better to lower amounts carbs while others thrive on high carbs. While I'm merely giving you a general guideline, I highly recommend that you tweak your carb servings according to your needs and how you feel. A good starting point is two handfuls for men, and one handful for women, of a carb source at each meal. "While I'm merely giving you a general guideline, I highly recommend that you tweak your carb servings according to your needs and how you feel." If you're keen on fat loss, you might want to save your starches for post-workout on your heaviest training days. These would be the days that you perform weight training and push heavy weight—basically, non-cardio days. If you're set on bulking, simply eat starches every day, ranging anywhere between 3-6 handfuls. You might see better results if you eat starches at breakfast, right before training, and the meals following your workout. I consider leafy greens like spinach, kale, and collard greens "freebies," and I recommend at least one handful for most meals. After all, greens fill you up with negligible amounts of carbs and calories, and they're full of micronutrients. As for fruit, keep it to 1-2 handfuls a day. While fruit can provide nutrients and various antioxidants, the unspoken rule of "too much of a good thing can become a bad thing" still applies here. Fats are great. Daily fat consumption should never fall below 15 percent of your total caloric intake, no matter your goal. That said, one or two handfuls of fat for the day will suffice for most people—two handfuls for men, one for women. But wait, what's a handful of fat? Before you start envisioning the old "1 pound of body fat" rubber model that they brought into high school gym class, let me assure you: it's nothing that literal. You need to use your imagination here and simply trust that as long as you're about right, you won't sabotage your results. 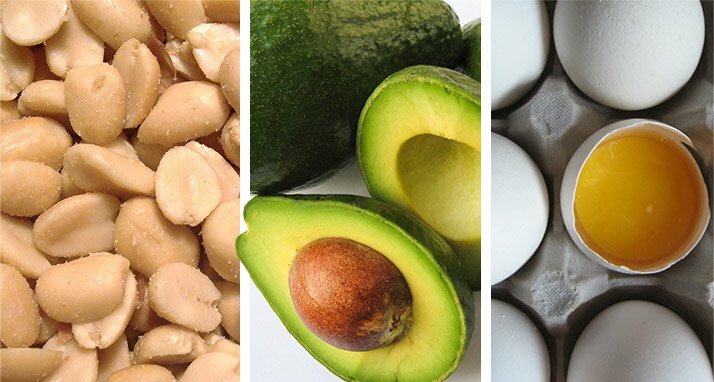 An example of how that would look over the course of a day could be a handful of nuts, half an avocado, and whatever fats are in your meat. 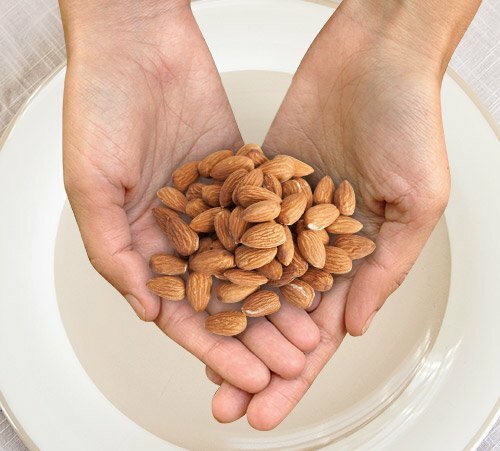 Alternatively, this could be a cup of low-fat dairy and half a handful of almonds. I even consider 2-3 eggs to be a handful of fats. The most important thing is to vary your fat sources, making sure that you're not solely eating nuts and cheese by the fistfuls. "Daily fat consumption should never fall below 15 percent of your total caloric intake, no matter your goal." Now that you've gotten a grip on this concept of eating by the handful, I would like to mention that you should treat my portion recommendations as a general guideline and modify them based on your individual needs. Do you feel too hungry after every meal? Try adding half a handful of fats. Are you gaining a bit of unwanted weight? Try reducing your carb intake to only one handful or even half a handful during the times you eat carbs. Start here, and then experiment, be patient, and pay close attention to what your body tells you. The power to change is in your hands!